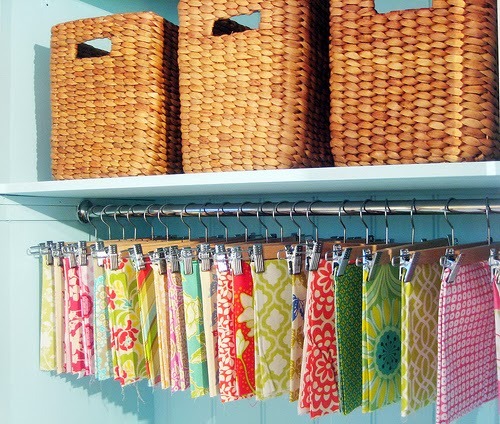 10 Creative and unique ways to store fabric! 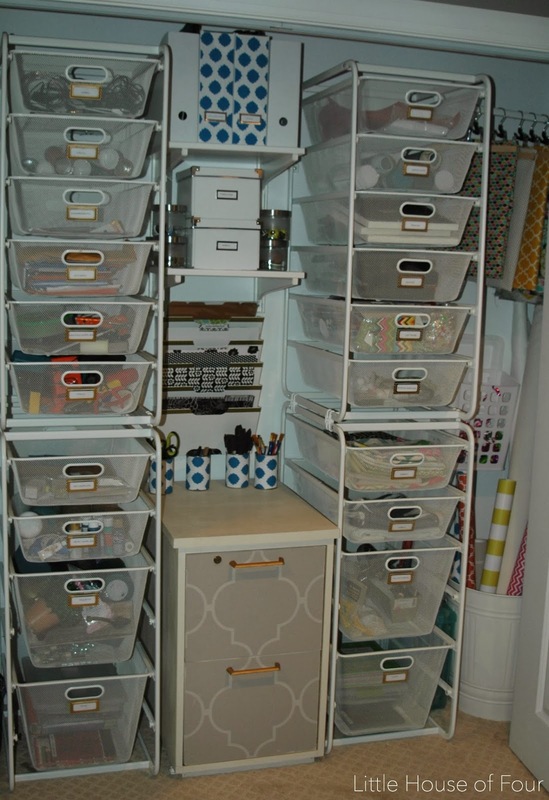 A few months ago I finally organized the office closet into my dream craft closet. 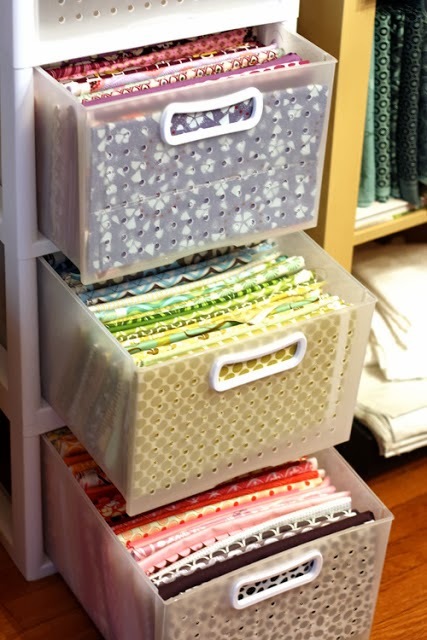 It took some planning, but after a long trip to IKEA I was able to get enough storage items to organize all my craft, DIY and sewing supplies. 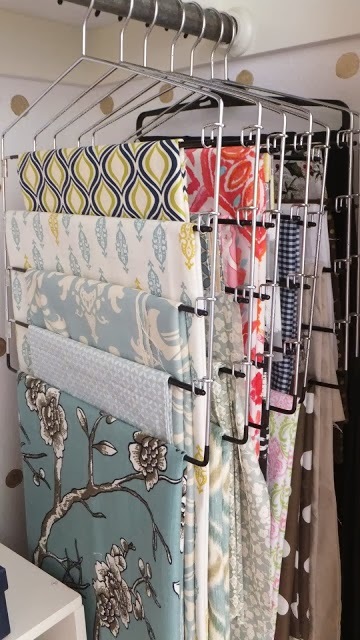 While planning how I was going to layout the closet, I searched Pinterest for inspiration and found some great fabric storage solutions that I wanted to share. 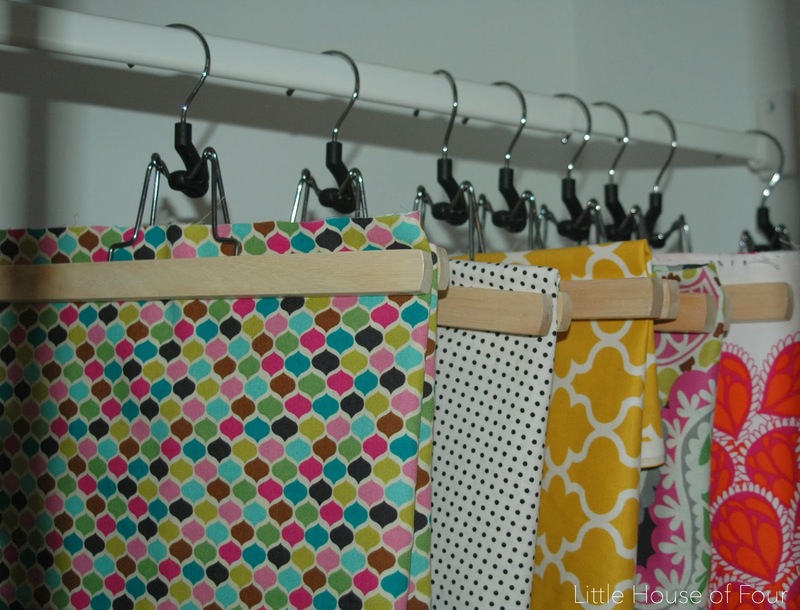 Hang fabric using pant hangers. 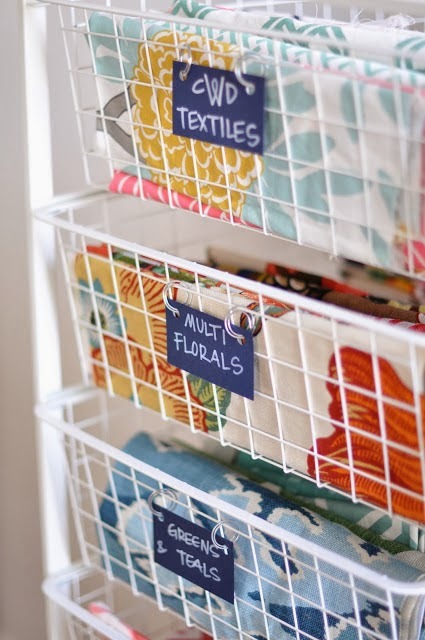 Fold and store fabric in wire baskets. 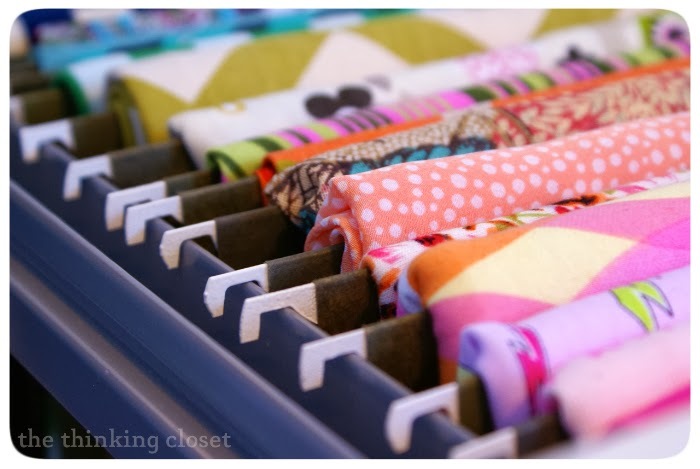 Wrap fabric around organizing boards. File fabric using file dividers. 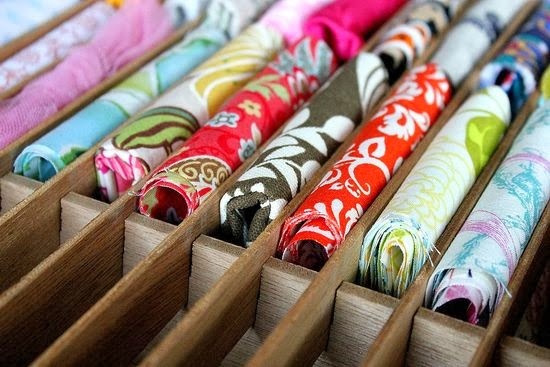 Fold fabric and place in drawers. Hang fabric from curtain rod rings. 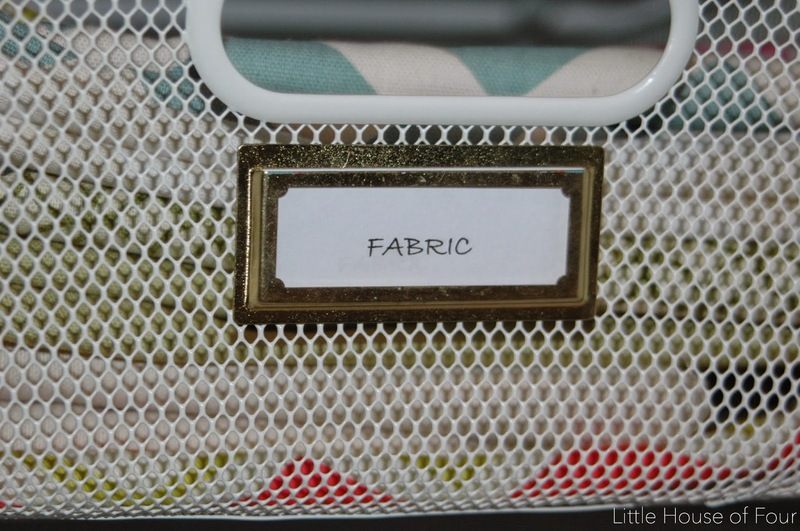 Use a cassette tape organizer to store fabric. 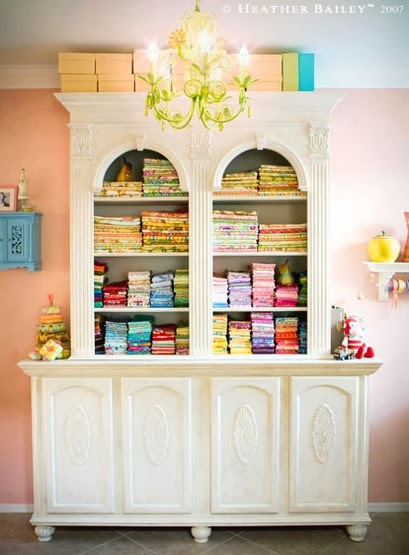 Fold fabric and place in a hutch. 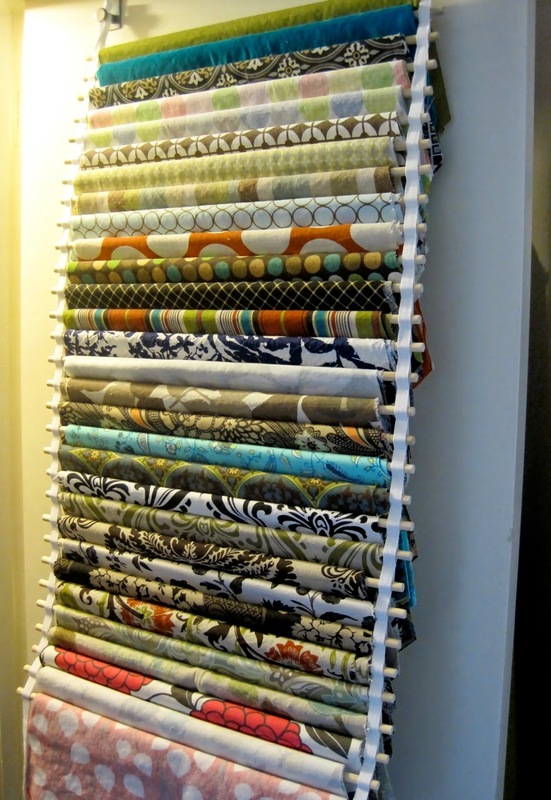 Hang fabric from dowel rods. 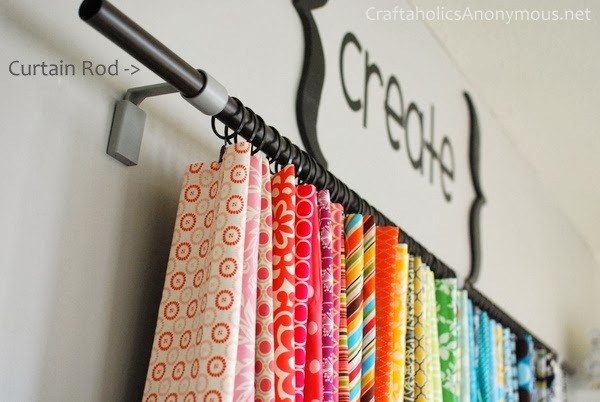 I actually incorporated a few of these amazing ideas in my own craft closet. The smaller pieces got folded and layered in drawers, while the larger pieces were hung using pant hangers. 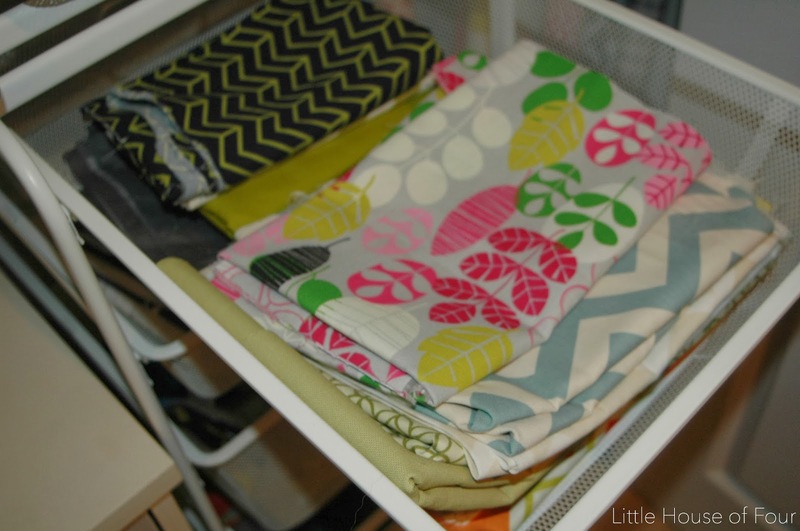 Do you now have the urge to organize all your fabric? Wow! I love your craft closet! 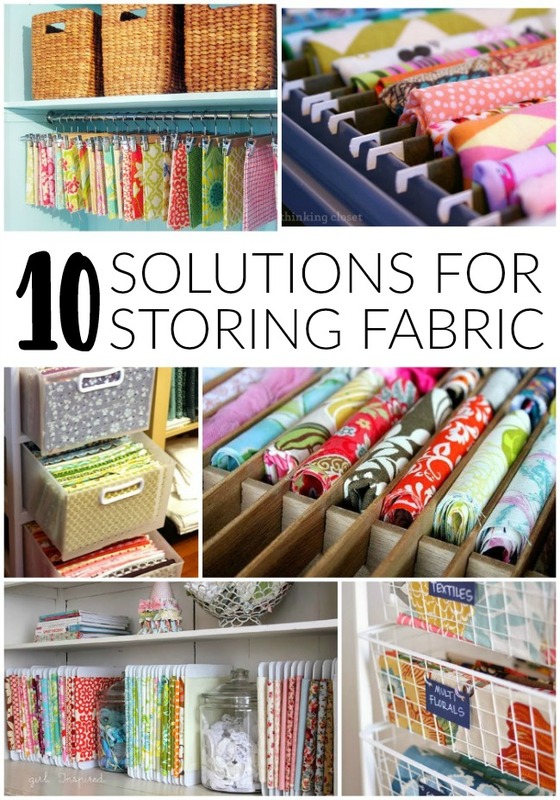 I really need to implement some of these great fabric storing ideas into my own home. Thanks for putting this collection together. Your welcome Emily! I'm glad it was helpful! 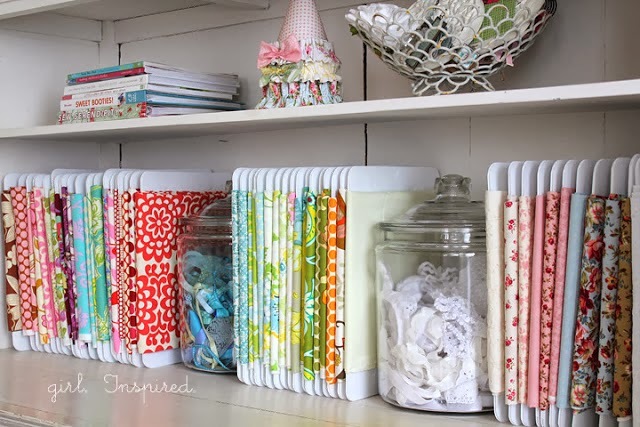 Makes me want to go buy fabric just so I can organize it all! Love your blog! All of these are for small pieces of fabric. I usually buy 5-10 yards at a time, so none of these would work for me, but I think they are great ideas for people that have such tiny cuts. how do you store your larger cuts? I keep mine on those cardboard bolt forms they come on from the factory. I get them for free from my local fabric shop. Unless it is a BIG piece, I will store two pieces quadruple folded on each one. They come in different sizes, though, so figure out what works for you - one size or whatever you can get.